Minister for Health Dr. Ifereimi Waqainabete. 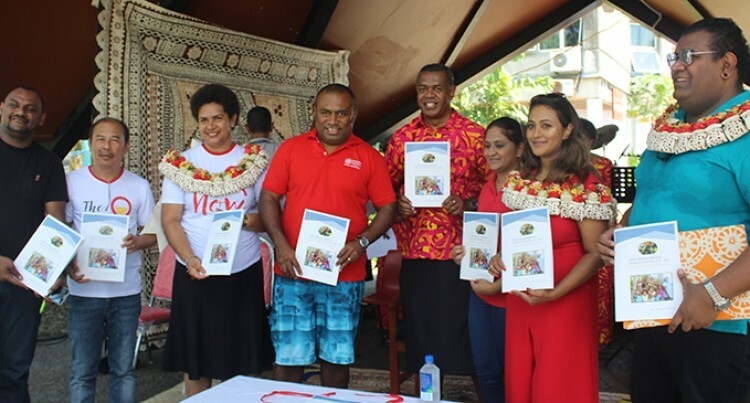 Fijians can fight Non-Communicable Diseases (NCDs) through corporate initiatives that involve people to participate in health and wellness programmes. More than 400 people from all walks of life turned up to My Suva Park early yesterday to take part in the inaugural Sports World Health and Fitness Fun Run with the theme Regular Exercise, Eat Healthy and Be Happy. The wellness programme began with a Zumba session before participants started the competition from My Suva Park through Ratu Sukuna Road and back. Minister for Health and Medical Services Dr Ifereimi Waqainabete, while speaking before the start of the race reminded people of the importance of staying fit and healthy. “Always remember that you have only one life, so keep it healthy and fit by doing regular exercises as such,” he said. Sports World General Manager Vinod Kumar said the large number of participants showed the interest people had in living a healthy lifestyle. “There is nothing more crucial than health for any human being. When we are healthy, we are able to enjoy our life. Initiatives such as this mornings fun run make Fiji a healthier and productive country,” he said. Meanwhile, Fijians in the Western Division can participate in the next Sports World Health and Fitness Fun Run on February 23 at Namaka Nadi.